[AC Motor]: Extended-life AC motor, more efficient, faster and cleaner than DC Motor.The 2000W professional AC collector motor can efficiently dish out the ideal temperature based on the setting. 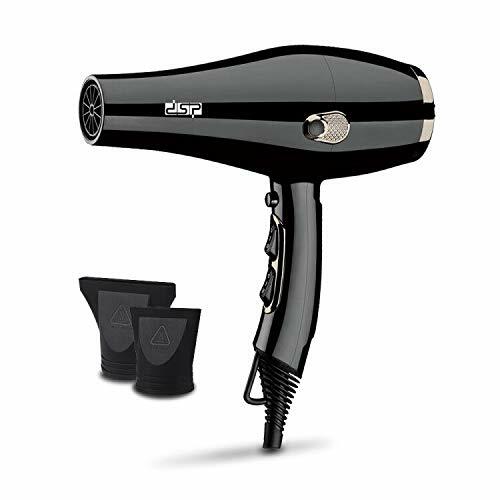 ; [6 Heat/ Speed Setting]: 2 Speed +3 Heat Setting +Cool shot - 6 heat & speed settings allow max choices for drying adjustment. ; [Removable Filter]: The removable air filter keeps your dryer working at peak efficiency and is easy to clean. Blocked or clogged air intake vents will cause the dryer to overheat. ; [Cool Shot Function]: To help reduce the damage that can be incurred due to heat, a cold shot mode is provided. ; [Hanger Hook Design]: Convenient storage, hanging on the bathroom wall, not occupying space, with the use of access.